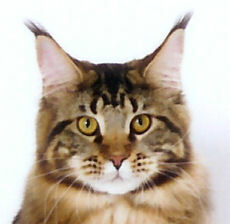 Pirate is a brown classic tabby male, son of Eowyn and Rumble. 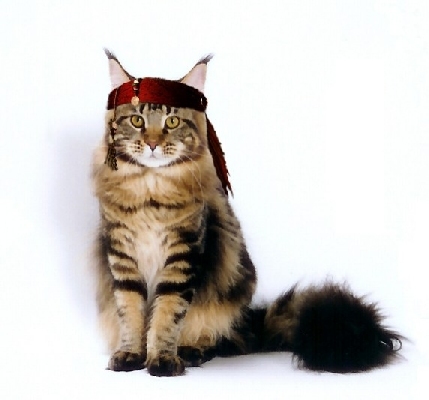 His roguish yet charming personality prompted us to name him after a similar character: Johnny Depp's Captain Jack Sparrow in the movie Pirates of the Caribbean. 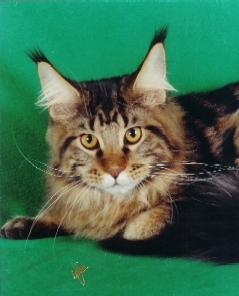 Pirate is a heavily muscled fellow with large, tall ears and huge lynx tips. His muzzle is broad, square, and well-defined, with a deep square chin and a nice clean profile. 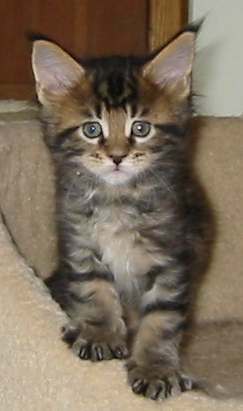 He is a warm brown tabby with an outstanding classic tabby pattern. Pirate is extremely affectionate, especially in the wee hours of the morning. He always sleeps in Betsy's arms, and from an early age has bravely ousted poor Onyx (who was, at one time, twice Pirate's size) from that coveted spot. Pirate loves wadded-up paper, Q-tips, and any portable trash that can be forced to move when poked with a steely paw. 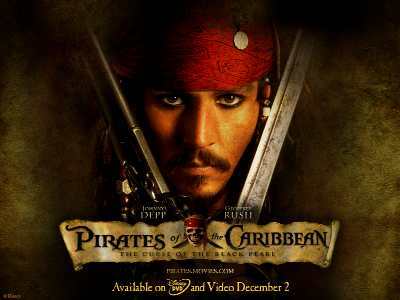 His favorite pastime is to board, capsize and plunder any innocent wastebasket he happens upon.